Choosing the right pet for you is fun, but takes time, planning, and lots of research. To make this process easier, the RSPCA has introduced Adopt A Pet, a national website that lets you view some of the animals waiting to be adopted at RSPCA locations across Australia. Looking to adopt an animal? Search now for dogs, cats and other pets available for rehoming at your local RSPCA. The site is updated daily! Adopting a dog is a great way to give a dog or puppy a second chance by providing a loving fur-ever home. Find out what you need to know before adopting. Naturally you want to give your dog or cat the very best care, especially when they’re sick or injured. Read more about Pet Insurance. Cats make wonderful companions and there are many cats and kittens available for adoption at the RSPCA. Find out what you need to know before adopting a cat. There are many types of small animals looking for new homes. 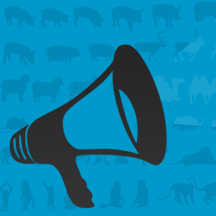 Find out about small animals and how they make great pets. 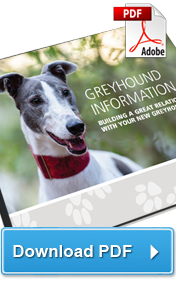 The RSPCA Greyhound Adoption Booklet is an invaluable source of information if you have adopted, or are planning to adopt a greyhound.